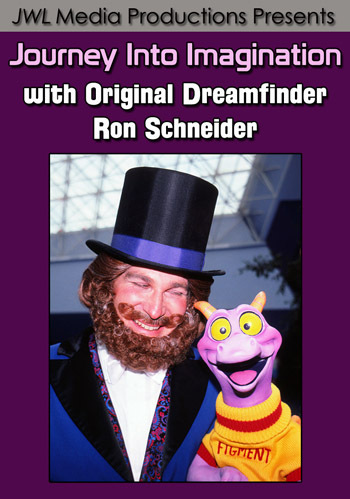 « All New Release – Jeff Lange Remembers Epcot's World Showcase 25th Anniversary Collectors Edition 2-DVD Set. Jeff Lange takes you on a trip back in time to celebrate Epcot’s 25th Anniversary. This ninth in a series, features Epcot’s World Showcase. Set sail on ‘The River of Time’ and view scenes from Mexico’s history. 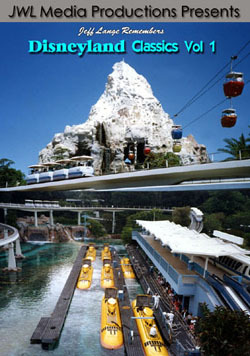 A complete ride thru featuring the earliest footage available of this World Showcase classic. This complete vintage ride through was recorded with an audio mixer and two microphones to capture the main narration plus the sounds of all the background audio effects. 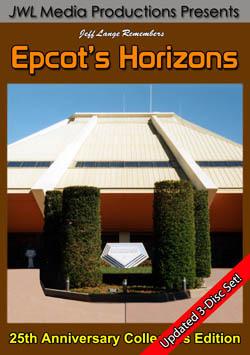 Final ride thru edited from multiple recordings taken just before this Epcot Center original attraction closed forever. 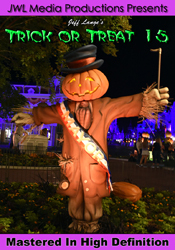 Features full coverage of the exterior, queue & load area plus all your favorite ride scenes and exit displays. We have combined the very best footage from seven ride throughs to present this ultimate recording of the updated attraction. Includes full coverage of the queue and load area plus the all new scenes featuring Donald Duck, Jose Carioca and Panchito Pistoles. Travel back to a mythological version of Norway’s Viking days and encounter trolls and polar bears before plunging into the North Sea. Experience a true hidden gem of classic Epcot Center as you take a full circle tour of World Showcase from atop a double decker omnibus. Ben Franklin and Mark Twain are your hosts for this E-ticket attraction presenting historic figures who shaped our nation. Audio-Animatronics of Thomas Jefferson, Frederick Douglass,Susan B. Anthony, Will Rogers, Alexander Graham Bell, and Franklin D. Roosevelt are some of the people represented. Rare footage featuring highlights of the original Epcot lagoon spectacular. Witness a battle between good and evil fought with bi-planes, dragon boats, kites, colorful smoke and daytime fireworks. Colors take flight around World Showcase in this extravaganza that features the worlds largest daytime fireworks display. Boats, kites, para-planes, hang gliders, fireworks and giant balloons encircle the lagoon and soar above the park. Patriotic music signals a surprise appearance from the Disney Characters as forty foot high inflatables pop up around world showcase promenade. This complete performance was shot from multiple angles to capture all the action from the best possible locations. Another complete performance of the daytime spectacular after it was changed to remove all references of Walt Disney World’s 20th Anniversary. Celebrate Epcot’s 25th Anniversary year after year or experience the magic for the first time by purchasing ‘Jeff Lange Remembers Epcot’s World Showcase’.